The Government has missed the point. Instead of slugging us for fossil fuels, it should provide green energy that is cheap to use. IF you ever wondered who is advising Tony Windsor to support a carbon tax, well, now you know: moles within the Coalition, the kamikaze ever-shrinking pro-carbon tax faction, aka Team Turnbull. Windsor is keeping their identities secret, but he says, “A lot of people within the Coalition would like to engage in that work (pricing carbon). They’ve been ruled out by the opportunism of Tony Abbott, but that doesn’t mean they can’t speak to others,” he told ABC radio yesterday. Ah ha! So that’s why Malcolm Turnbull was having a deep and meaningful conversation over dinner in Canberra with that other ruminating country independent, Rob Oakeshott, last week. Colleagues describe Turnbull as “Labor’s best asset”, sourly noting the flurry of meetings he has been conducting in an effort to revive his leadership prospects. They wonder whether he will again cross the floor to vote with Labor on its carbon tax. Yet the self-destructing futility of his bid is laid bare in this week’s Newspoll, which shows Labor’s carbon plans are electoral poison, opposed by the majority of voters but most particularly by Coalition voters, whose aversion has grown to 72 per cent. Windsor, whose conservative electorate is seething with anger over his role in bringing Labor to power and his apparent complicity in the carbon tax announcement, may have had his spine stiffened by Coalition rats. But he still has been backpedalling at a million miles an hour since Labor recorded its lowest ever primary support in Newspoll, showing what a blunder the carbon tax is. Now he’s trying to distance himself from Prime Minister Julia Gillard by saying she had “sort of jumped the gun” and should have given more “detail” about the tax before announcing it. But it is not the missing detail that is the problem; it is the tax itself, as Danish statistician Bjorn Lomborg points out. On Tuesday night, Lomborg, author of The Skeptical Environmentalist, outlined the flaws with the Government’s approach. 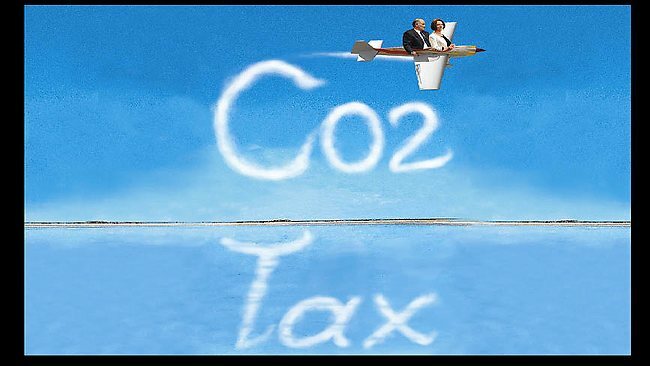 The least effective, most expensive solution to climate change is any sort of tax on carbon dioxide, he says. “For every dollar you spend, you save a couple of cents in climate damage.” And that money wasted today means you are less well placed to deal with any potential ill-effects of climate change in the future. « If the AGW case is so strong, why delete emails? Turnbull should be threatened with deselection at the next election, if he doesn’t stop (seemingly deliberately) undermining the party. And as soon as there is an intermission in Labor’s comedy show, Abbott should call on Turnbull and his supporters to openly make their stand. I think that if that were to happen, Turnbull would be left standing there by himself and it would be the end of his destructive efficacy. Doing that shouldn’t hurt Abbott’s standing at all. Many people are gaining the same contempt for Turnbull that they have for Gillard and had for Rudd. When you hear someone praising Turnbull’s integrity, you are usually hearing a dedicated Labor/Green voter, someone who wouldn’t vote Liberal in a fit. The day that Tony A took over as leader I said [but I’m a very small voice] that his first decision should be to rid the liberal party of Turnbull as he would become a liability……and hey presto guess what? Turnbull’s an ex Goldman Sachs (sacks of gold) banker. Malcom Turnbull the Oliver Stone of Australian Politics. Good ol’ “Turncoat” Turnbull. Abbott better keep a close eye on him!